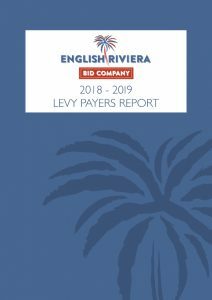 In January 2017 the English Riviera BID (ERBID) Company was established with responsibility for delivering the English Riviera BID 5-year Business Plan. 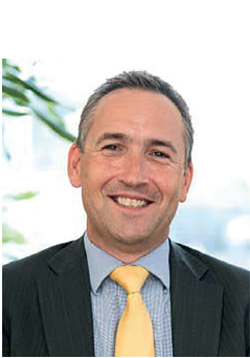 The primary reason for setting up the ERBID was to provide sustainable funds for professionally coordinated Destination Marketing ensuring the vacuum left following the closure of the English Riviera Tourism Company was quickly filled. As a result of the hard work of Carolyn and the team it is very encouraging to see that in 2017 (the first year of the ERBID) the resort saw a growth in visitor numbers and spend, which is in stark contrast to 2016, when visitor spend was £20 million less. Clearly the decision to set up the ERBID has been the right thing to do, with £3 million now secured to invest in Destination Marketing until the end of 2021. 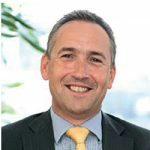 2018 has been a challenging year with the severe cold weather at the beginning of the year negatively impacting many tourism businesses in terms of footfall, occupancy and advance bookings. It was positive therefore that the ERBID Company was in a position to invest an increased sum of £681,510 on Destination Marketing during 2018, including for the first time, national advertising at peak viewing times on ITV 1 to help attract visitors later in the year. I am very encouraged to see the growing number of businesses working with us and attending the ERBID Focus Groups. These open meetings have been invaluable to the board in helping us plan for the future. I firmly believe that through closer partnership working and sharing our experiences we can achieve great things! Moving forward the increased investment we are now seeing is very exciting, with two major new hotel developments underway. The powerful marketing that these international brands will bring will contribute greatly to raising the awareness of the English Riviera and attracting new, year-round visitors. I believe that the English Riviera, with the continued growth in staycation holidays, has a very promising future. Please click here for a breakdown of the ERBID’s Company Income and Expenditure for 2018 and budgeted income for 2019. 2019 expenditure will include two new exciting initiatives: London advertising at Waterloo Station and the launch of a new Events Development Fund to support key events that so many ERBID businesses rely on. May I take this opportunity to thank you for your continued support and to encourage you to get involved. This is your ERBID and your opportunity to help deliver the objectives that we all set out to: extending the season, increasing turnover and securing sustainable funds for continued Destination Marketing. I look forward to seeing you on 27th March, the date of the 2019 Tourism Exhibition, Conference and AGM.